First of all, know that my minor in college was psychology. I totally nerd out when it comes to psych. How people think, why we are the way we are, what contributes to who we become–all these things are so intriguing to me. One of my favorite personality identifiers is the Myers-Briggs Type Indicator (MBTI). I’ve never studied it extensively, but my friend Nebula is obsessed with it. She always pins things on Pinterest about the various types, and I love it. Check out this site for a decently in depth or just a summary of the 16 types. Go here to see what type you are! 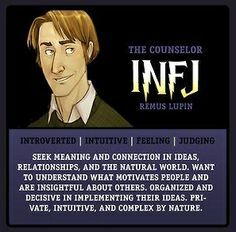 I am an INFJ: apparently we’re rare, but maybe that’s a good thing, haha. Anyway, the reason I have shared all this random information with you (besides the fact that I’m a nerd) is because Nebula gave me a wonderful idea for a new series on here. Story-based posts where the main character has the traits of one of the 16 personality types. Tell me Nebula’s mind isn’t golden. Write a shortish story, a snippet of this character’s life, if you will once a week for 3-4 weeks. I’m doing this for two reasons. First, I think it will be a really fun challenge, but mostly I just want to understand the MBTI better! The knowledge will help me understand people better. And, honestly, isn’t life just better when you understand those you spend it with? I think so. Can’t wait! I will tentatively say to look for the first MBTI post next week Friday! P.S. I’m not a fan of the lack of diversity in the featured image, but 16 Personalities‘ avatars are kinda cute.